The three members of Surviving the Odyssey may not have navigated past Scylla and Charybdis, but the Pittsburgh-based group is a result of some intense creative wandering. How else do you end up with three outlandishly clad musicians playing a mélange of electronic and pop music, who answer to the names Odd, Indigo and Krimson? "We like to dress up and get into it," Indigo explains with a laugh. Equal parts Tank Girl and Bjork, she likes to "dress a bit more on the theatrical side. I've used anything from body paint to jewels. We're very much into science fiction and fantasy, so we incorporate that with our music and the way we dress as well." There is a conceptual link between their outlandish attire and out-there grooves, but more important for the group is creating a multimedia experience that will draw in listeners. "We just thought about some things that we personally would like to see when we go to shows ... just to give people a show, in every aspect that's possible," says Indigo. "We can't change our outfits for every show -- we just don't have the funds to do that. We just take little pieces of things here and there that we see, and incorporate [them] into our outfits. Whenever we go to festivals, the kids love [my] wings!" That same thoughtfulness and preparation can be heard on the group's debut, Defiantly Unclassifiable, released in February of this year. On it, influences like Massive Attack and Portishead rub shoulders with Natacha Atlas and Azam Ali; Odd's trip-hop beats collide with jazz, Latin beats, rock and R&B. Indigo's soulful voice soars over this bubbling musical stew. "A lot of our stuff is very bassy, with intense, dramatic beats. But at the same time the vocals are very ethereal, very dreamlike," she says. While very fluid and strong, those pipes are simply the result of practice and experimentation, Indigo insists: "I just didn't have the funds to be classically trained." Which has led to some surprises. "My vocals get compared to a Middle Eastern style," says Indigo, who's lived most of her life in Pittsburgh and Washington, D.C. "That wasn't something that I had purposely tried to do. I was just doing something that sounded comfortable and natural to me." 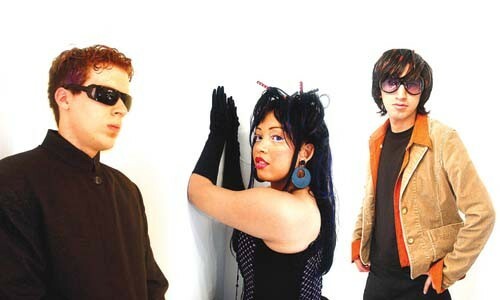 Though Indigo and Odd began mapping out the concept for Surviving the Odyssey in 1999, the group didn't play live until last year. "We wanted to make sure we had good songs, so when we did come out, a lot of people would be into the music. We wanted to develop where we were gonna go with this. So some planning and forethought went into it." Some of that planning involved recruiting a guitarist earlier this year. "It felt like we were missing a little something," says Indigo. She and Odd posted an ad on MySpace, and were initially disappointed with the response. "We got a lot of young people who weren't even old enough to play at 21-and-older venues," she says. "We got a lot of 15- and 16-year-olds!" Eventually they found The One: the Cusco, Peru native Krimson, who had moved to Pittsburgh in the spring, and was looking to join a band. "He [initially] moved to America to pursue his musical career, and it just all fit together," says Indigo. Krimson had been playing guitar in rock bands in Peru as well as with grungy rockers Supermatozoides. Now, with a year of local gigs under its belt and out-of-town tour dates falling in line, those years of preparation and planning are starting to pay off. But there's always a little further to go. "There are people who are into dance music that go to our shows, but there's not a lot of dancing there yet," Indigo admits, with a chuckle. "There are some people who get up and dance, but it's been mostly a crowd that bobs their heads." While the band's had a long time to think about it, the rest of us need a little time to catch up -- Surviving the Odyssey is an experience, one Indigo likens to "the mature infant of an ancient wine poet and a cybernetic space butterfly."